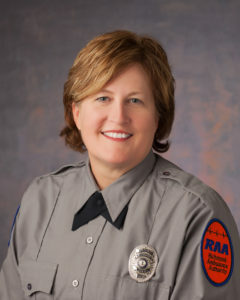 Richmond Ambulance Authority (RAA) is delighted to nominate Paramedic Julie Anderson for the AAA’s Stars of Life Award. Julie began her career with RAA in August of 2007. Over the next two years, Julie decided to expand her knowledge in the field becoming a Paramedic in December of 2009. Julie is well known around RAA for a positive attitude that is contagious and constant bright smile. Julie states that “[her] favorite thing about EMS is helping people in their time of need—even if it’s not medically related. Just a kind word or a smile helps.” Julie sets the bar for dedication to her peers, with perfect attendance and frequent commendations. During her time at RAA, Julie has been a strong leader and voice for the employees on RAA’s Shift Bid Committee. In 2016 Julie received the Operational Medical Director’s Award, Paramedic of the Year. Julie is a Hanover County, Virginia native, and has resided in the Richmond area her entire life.